Can Oakland cope with global growth? Oakland International Airport today adds another transatlantic competitor as new low-cost Level begins Barcelona service. It’s the latest in a growing roster of international flights at OAK, and it makes us wonder how much the airport can handle in its current state. 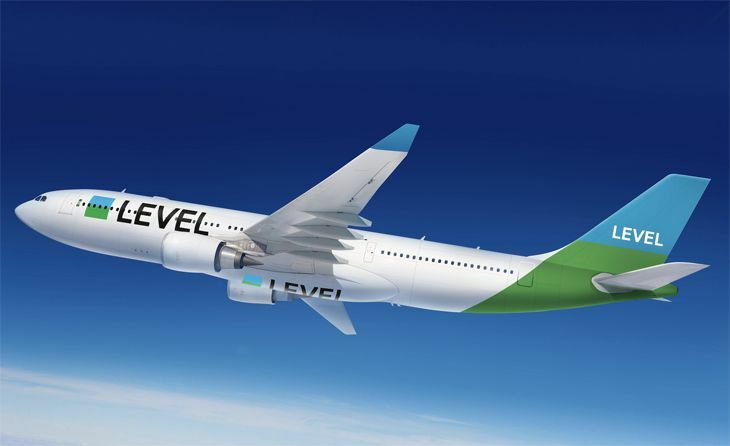 Level’s parent, International Airlines Group (which owns British Airways and Iberia), has also settled on Oakland — as the gateway where it will fight back against the low-cost flights of Norwegian. 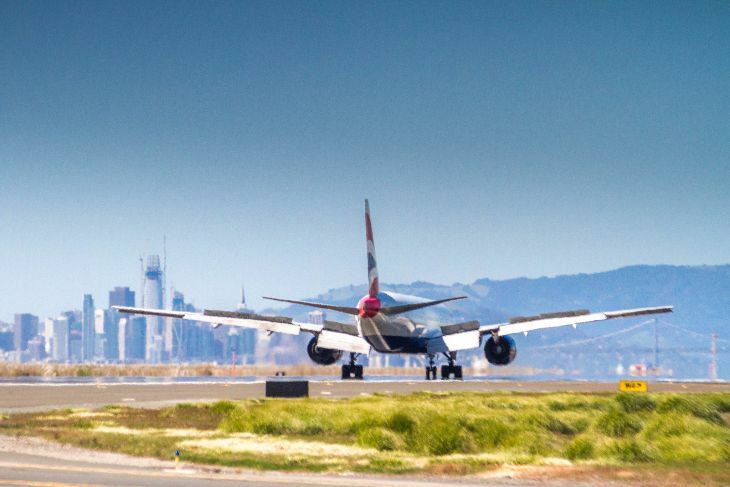 At the end of March, British Airways started four weekly flights from Oakland to London Gatwick — a route that Norwegian has flown for more than a year, and will boost from three flights a week to four this fall. On the same day that BA launched those OAK-Gatwick flights, Norwegian started twice-weekly service from Oakland to Copenhagen; it already flies from OAK to Oslo and Stockholm. Is your mind sufficiently boggled by all that? Norwegian just announced plans to begin twice-weekly service next February from Oakland to Rome Fiumicino – the first Bay Area non-stops to Italy in many years. There is some speculation that IAG’s Level could decide to go head-to-head with Norwegian on that route as well. In February, Southwest Airlines kicked off its first international service from Oakland, with daily flights to Puerto Vallarta and San Jose del Cabo/Los Cabos, Mexico. Mexican low-cost carrier Volaris recently won rights to operate from Oakland to Mexico City, with service expected to begin by summer of 2018. 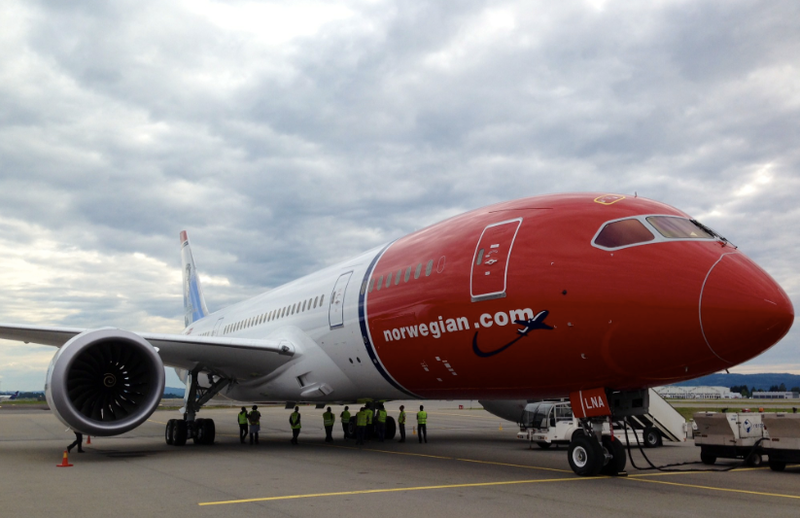 Norwegian flies Boeing 787 Dreamliners on its routes from Oakland to Europe. With all the new transatlantic service, Oakland has surpassed San Diego to become California’s third-largest gateway to Europe. The airport is doing its part this year to give those carriers a boost: Through August 15, it is offering five free days of parking, worth $120, to travelers flying roundtrip to Europe. But all that growth comes at a cost: We’ve been hearing some grousing from readers about long waiting times at Customs and Immigration at Oakland airport. Here are some select quotes from emails sent from the plane waiting on the OAK tarmac from reader SS: Trapped w/babies on sweltering Southwest flight from Puerto Vallarta. Customs can’t handle our flight & another big Norwegian flight that came in. So we’re stuck on plane. Later, SS wrote: There were TWO 200-300 passenger widebodies processed ahead of us. Norwegian Air & British Airways. Only four customs agents processing passengers when we arrived to customs- three for US citizens, and one for non-US. OAK clearly unprepared for this new level of international arrivals. Even customs hall wasn’t large enough to handle us well. Emails like that make us wonder about the ability of OAK’s international terminal to handle all the growth (the airport recently reported that its overall passenger numbers during April jumped almost 13 percent year-over-year). We reached out to airport spokesperson Keonnis Taylor about this, and she wrote: The events of last evening were partially the result of irregular operations. Southwest Airlines Flight 125 arrived 20 minutes early and the international arrival gates were occupied by other flights. Unfortunately, about the same time as this early arrival, a system-wide outage of CBP’s APC (Automated Passport Control) kiosks occurred. The outage, which was not limited to OAK, required all passengers arriving on international flights to be processed through Customs without the benefit of the APCs, which streamline the process otherwise fully conducted by its agents. This kiosk outage caused delays in passenger processing and, subsequently, a long period of waiting for other aircraft that had arrived, which were not able to access the International Arrivals Building until after previous international arrivals had deplaned all passengers. Fortunately, OAK is hard at work on a $35 million expansion of its international arrivals facility, which should be finished this summer. 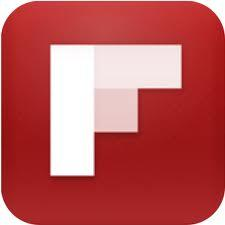 Plus, Oakland does have Global Entry, which should help when things get backed up! Have you flown from Oakland yet? Would you? Please leave your comments below.